Sutherland woman, Marina Heasman is celebrating winning a prestigious 'green' award with her natural soap and aromatherapy products business. Essential Spirit has won the regional small business category in the VIBES environmental award. VIBES is an initiative which was set up to encourage businesses to take significant steps to improve or reduce their impact on the environment and save money in the process. Commenting on her success Marina said: "The aim of Essential Spirit is to create, from start to finish, a handcrafted natural luxury soap, infused with energy and using fair-trade resources and recycled packaging. "Our philosophy is to encourage responsibility and promote high quality products that do not impact negatively on our environment but retain a unique and attractive simplicity." 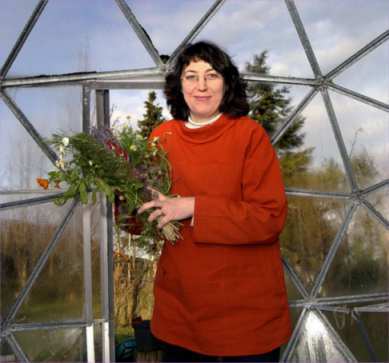 Marina is a qualified aromatherapist having worked in the profession for 15 years. She set up Essential Spirit in October 2000 and with financial assistance from Caithness and Sutherland Enterprise (CASE) last year, was able to build a workshop at the rear of her home in Borgie. 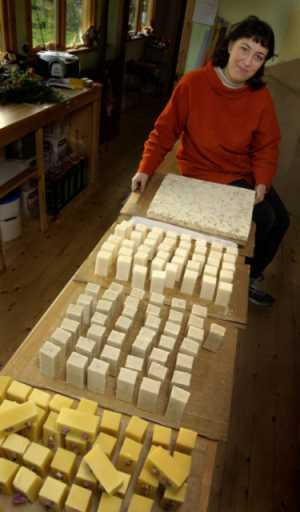 The purpose-built workshop has helped Marina meet the increasing demand for her range of natural soaps, ready-mixed therapeutic bath and massage oils and other aromatic products. She has also received marketing advice and assistance through CASE's HIE-Marks programme. "We would not have been able to develop and expand to this extent had it not been for all the advice and help we have received from CASE," said Marina. Carroll Buxton, chief executive at CASE said: "Congratulations to Essential Spirit on being a regional VIBES winner. It is great news to hear that a north business has achieved success in such a prestigious competition."